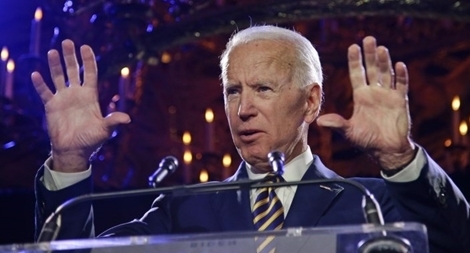 Former U.S. Vice President Joe Biden, a moderate who has made his appeal to working-class voters who deserted the Democrats in 2016 a key part of his political identity, launched a bid for the White House on Thursday as the party’s instant frontrunner. North Korean leader Kim Jong Un met Russian President Vladimir Putin on Thursday at a summit designed to show that Washington is not the only power able to set the agenda on Pyongyang’s nuclear program. Islamic State has claimed responsibility for the Easter bombings in Sri Lanka that killed more than 300 people, the group’s Amaq news agency has said. Special Counsel Robert Mueller’s report on his inquiry into Russia’s role in the 2016 U.S. election gives Democrats plenty of political ammunition against the Republican but no consensus on how to use it. On Sunday, 14 April 2019, 200 Indonesian citizens in Hanoi and its surrounding areas have exercised their right to vote for the 2019 Indonesian general election at the polling station in the Indonesian Embassy, 50 Ngo Quyen, Hanoi. The arrest comes some 24 hours after WikiLeaks claimed that Assange had been subject to a sophisticated spying operation, with the obtained data presumably being transferred to US authorities.